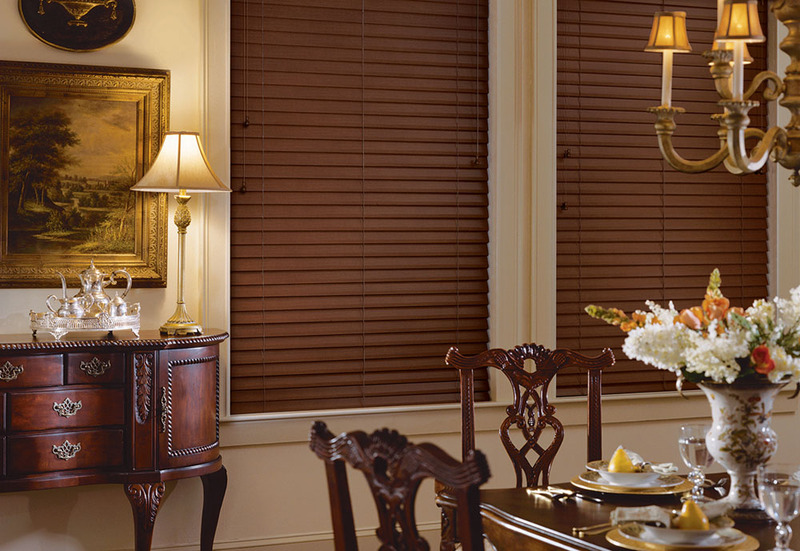 Arjay’s Window Fashions provides a full range of Fauxwood Blinds for both Commercial & Residential use. We have expert designers and use leading technologies to provide solutions that not only look good, but perform amazing as well. 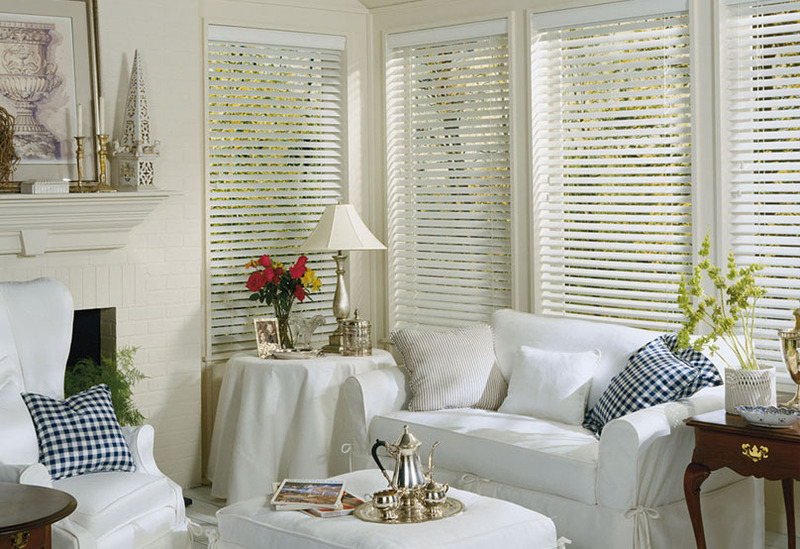 Horizontal blinds provide privacy while letting you choose how much light you want to let in to the room. Faux wood blinds can be manufactured without the route-holes to offer an additional level of privacy. Horizontal faux wood blinds also offer you an extra layer of insulation from the cold and superior resistance to excess sunlight that can fade carpets and furnishings. 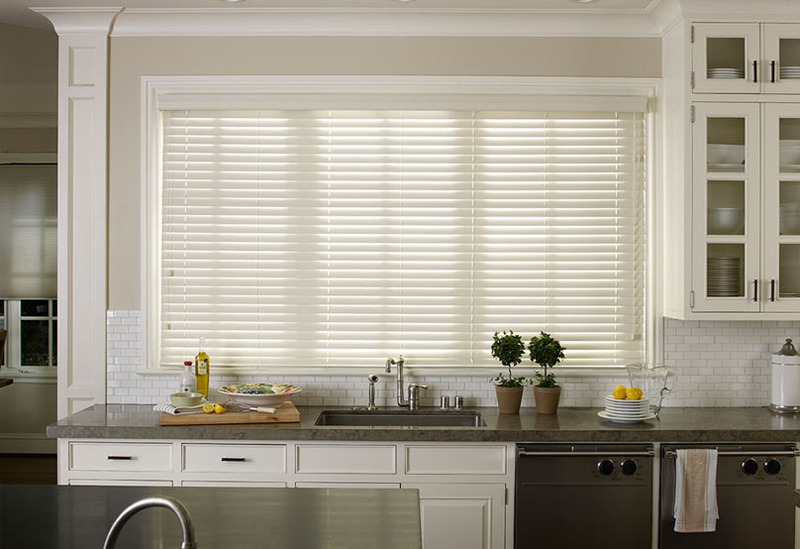 Our horizontal blinds come in your choice of control options. Select from rout-less, for greater privacy, or choose wand tilt or cord tilt control. 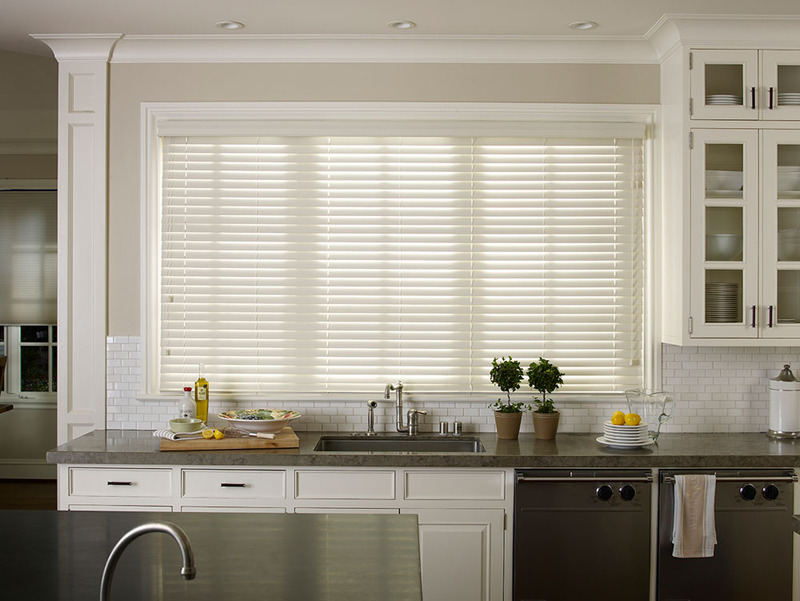 Faux wood blinds are also available without lift cords; movement is performed by lifting or pulling the bottom rail. For maximum ease, choose a motorized system with easy-to-use handheld or wall controls. Motorization can even be integrated with your home automation system. 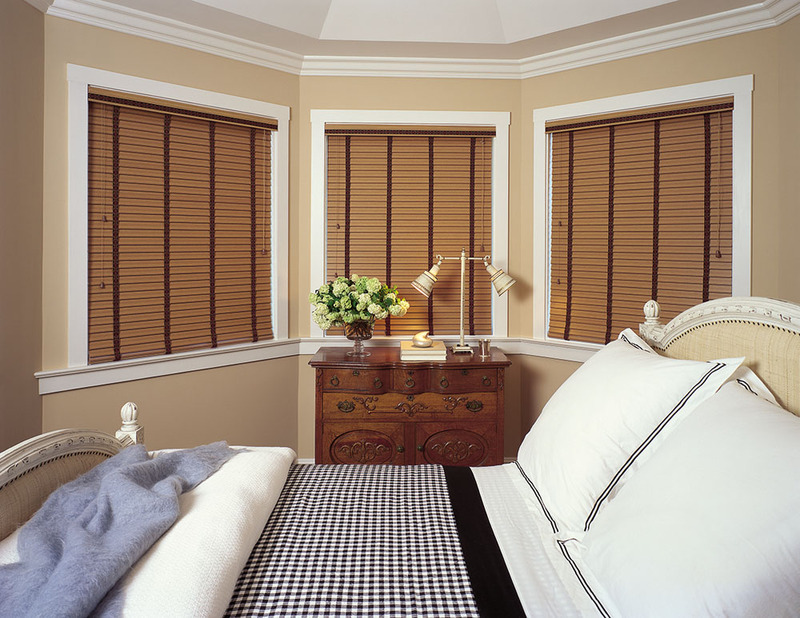 Faux Wood Horizontal Blinds are manufactured with 2”, 2 1/2” and 3” louvers and are available in a variety of different finishes. The louvers can be tilted at different angles to control light and louvers can be manufactured without route-holes for enhanced privacy. These blinds have a variety of matching designer valances as well as larger decorative cornice boxes and are a great choice when considering high-moisture applications. 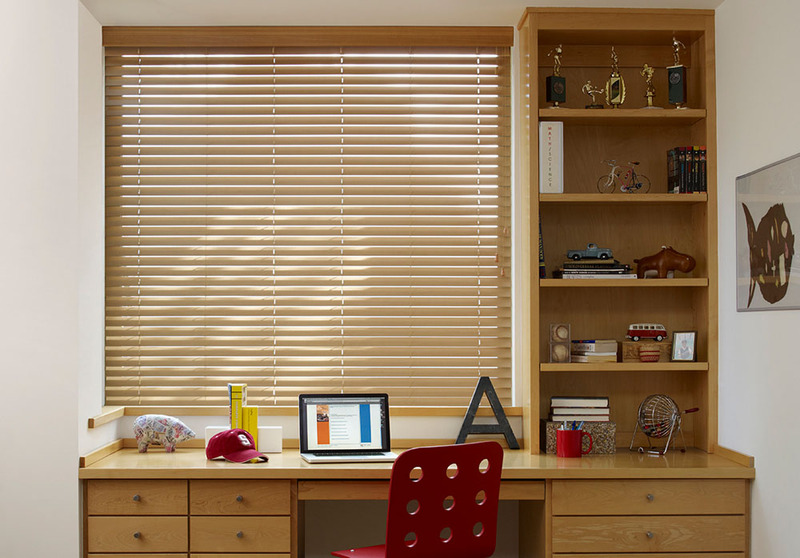 Control Options: Faux Wood Horizontal Blinds can be operated by Cord Tilt, Wand Tilt and Routless (no route holes) Operation for greater privacy and light control. Faux Wood Blinds are also available without lift cords where the bottom rail is buoyant and the blind is raised and lowered by pulling or lifting the bottom rail. 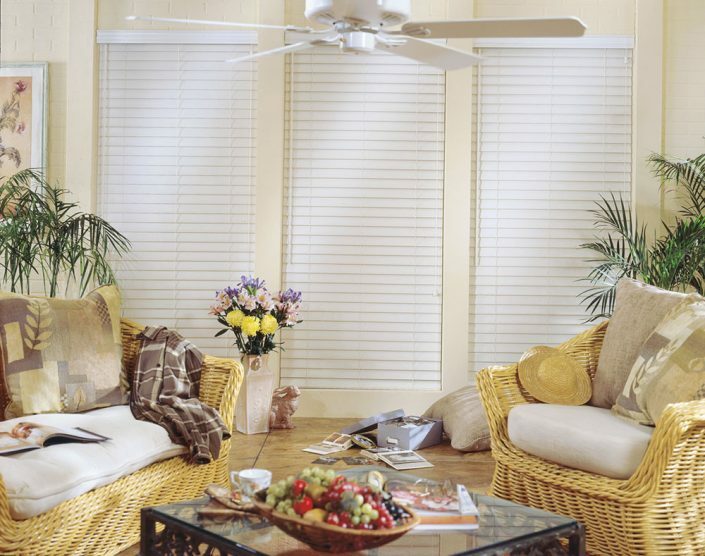 Specialty Shapes: Faux Wood Horizontal Blinds can be manufactured Arched and with Angle Tops. 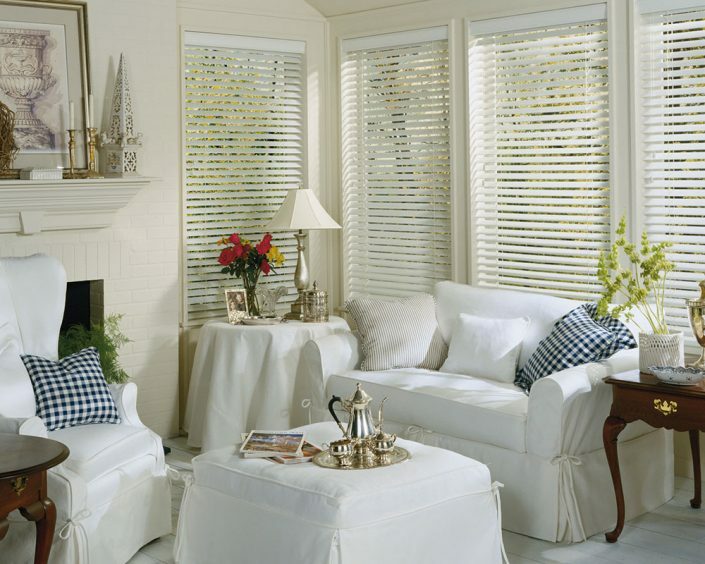 Designer Features: Faux Wood Horizontal Blinds are available with Designer Fashion Tapes that coordinate with other furnishings and can replace standard drop cords. The headrails can also be concealed beneath a variety of stylish valances and cornice boxes. 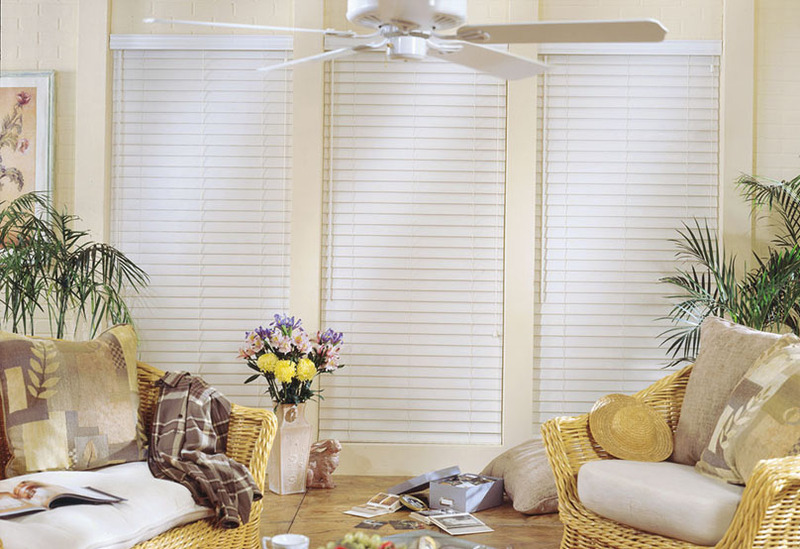 Motorized Operation: Faux Wood Horizontal Blinds can be motorized and operated via remote control or integrated into building automation systems. Energy Consumption & Comfort: Light colored blinds can be used to reflect solar heat and control hot spots in a building. Light Control: Horizontal louvered products do an excellent job in controlling high profile sun because the louvers cross-shade each other. The louvers can also be completely closed for room darkening.